Belize is one of the few countries that has enacted legislation allowing for the establishment of online wagering. Its Computer Wagering Licensing Act, 1995, which came into force on May 28, 1996, provides for the proper conduct and regulation of gaming via the Internet. The Belize Computer Licensing Board is responsible for the control and regulation of online gaming activities. Under the online gaming regulation of October 2004, customer service operations should be conducted from within Belize while a licensed online gaming operator is allowed to maintain servers elsewhere. Besides legalizing wagering on the internet, the Act also provides for the licensing of computer services operators who provide internet users with the facility to wager against each other on sporting events or other games of chance. According to Belize online gaming regulations, a person who “conducts” online gaming is anyone who is actively involved in the organization, management or promotion of gaming activities or any business that encompasses negotiating or receiving of a bet or the maintenance of any computer or other device in Belize by means of which gaming facilities are operated. 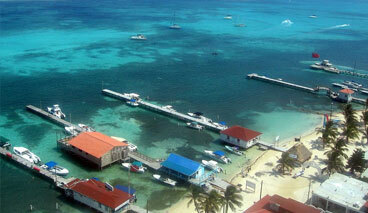 Anyone who is going to conduct online gaming business in Belize must be licensed by the Gaming Control Board. The conditions of the license do not allow accepting bets from any person resident within Belize. The Belize government is fully committed to maintaining high standards for its new online gaming industry, which makes Belize one of the best jurisdictions to consider for an online gaming license.